Let's celebrate our Earth by getting out and exploring it. What better way than by bike? 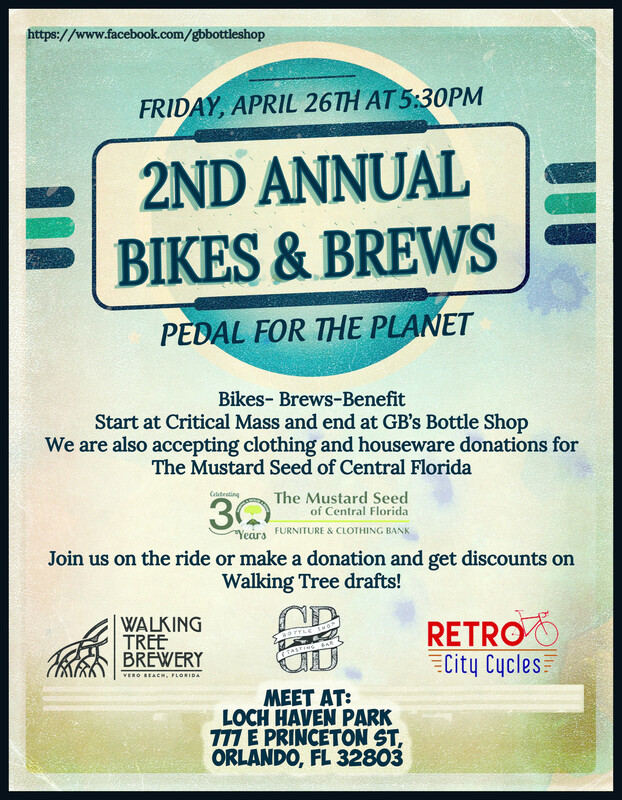 GB's Bottle shop is teaming up with Walking Tree Brewery to participate in the April Critical Mass. If you ride, receive a hand stamp and swing by the Shop afterward for discounts on Walking Tree brews. One draft (TBD) will benefit the Mustard Seed of Orlando, with 100% of the proceeds being donated. (You don't have to ride to drink charity beer...we want to donate as much as we can, so it will be on all day!) GB's Bottle Shop is located at 531 Virginia Drive, Orlando!